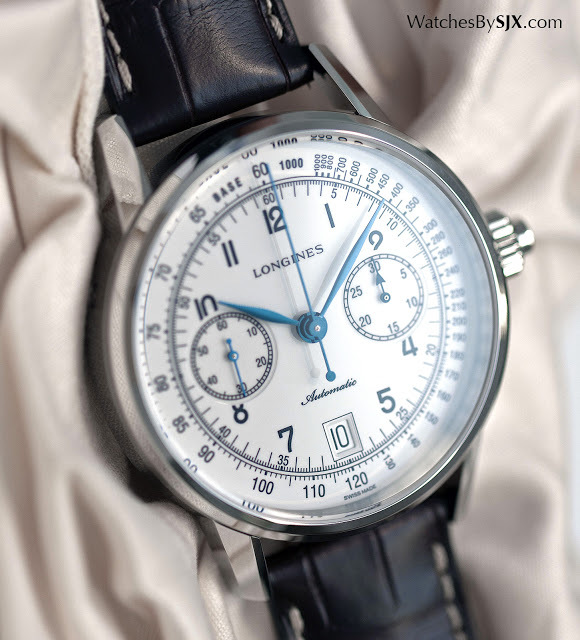 Longines introduces the latest version of its popular Column-Wheel Single Push-Piece Chronograph, featuring a larger case and appealing, vintage-style dials, while retaining the L788 self-winding movement. 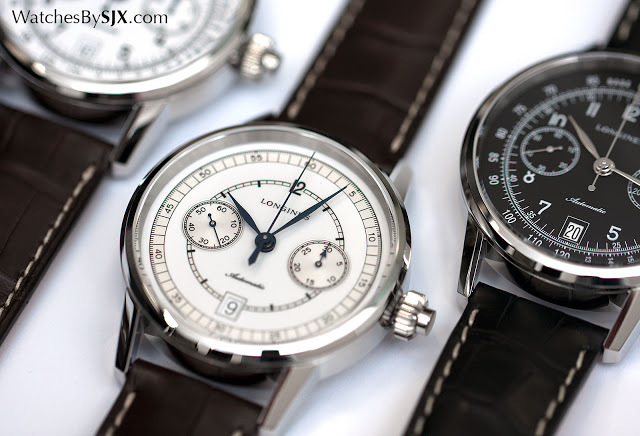 We take a look at the new trio of chronographs. 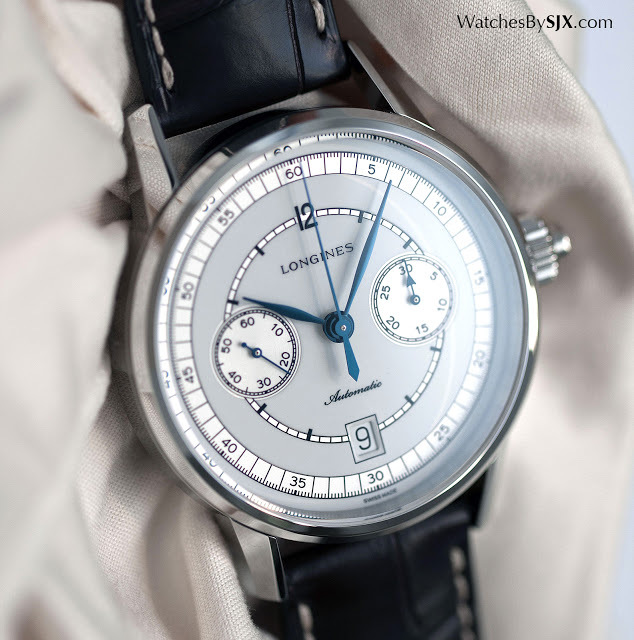 Longines is extending its successful run of vintage-inspired, monopusher chronographs with three additions to the line. 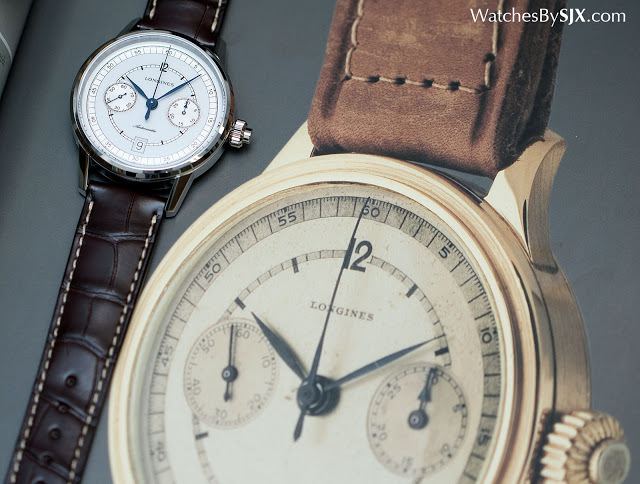 Modelled on Longines chronographs from the 1920s, the latest Column-Wheel Single Push-Piece Chronographs are nonetheless more appealingly modern than their predecessors. 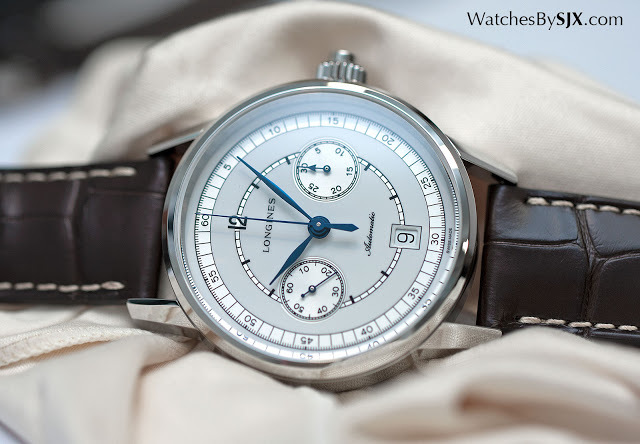 While the smallish first generation single-button chronograph introduced in 2013 was styled like an early wristwatch with wire lugs, the 2015 edition has a 41mm case with angular lugs, giving it a look and size that chimes with contemporary tastes. 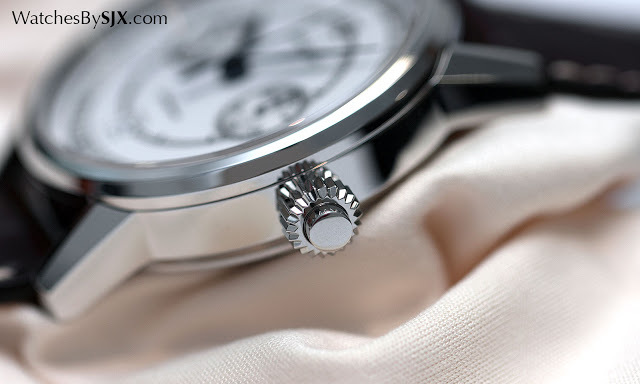 The case is steel, polished on all surfaces, with facets on the lugs, which are relatively long. 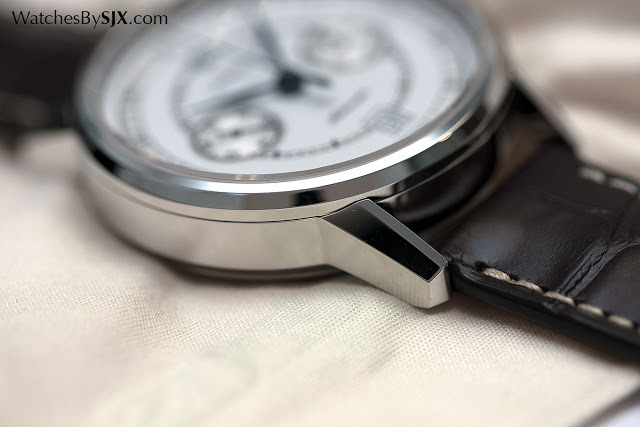 That, together with the narrow bezel, makes the watch appear larger. 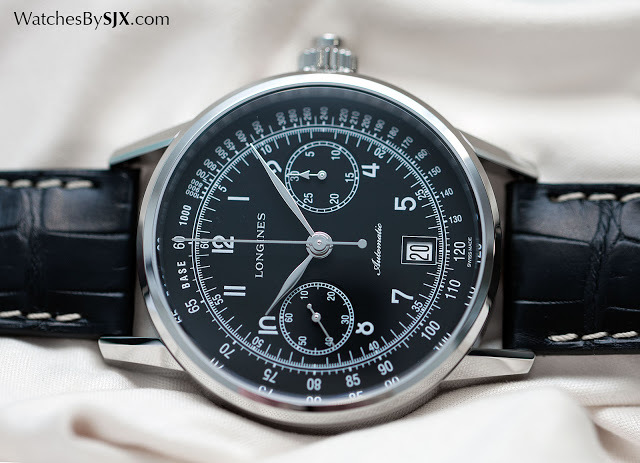 In fact, it seems significantly larger than the 40mm Pulsometer monopusher chronograph Longines also unveiled this year, though the difference is only 1mm. 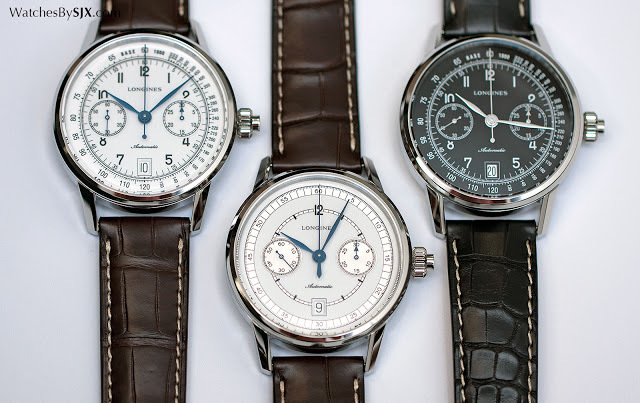 Three dial variants are available, all modelled on vintage Longines chronographs. Two are essentially the same, but in inverted colours. 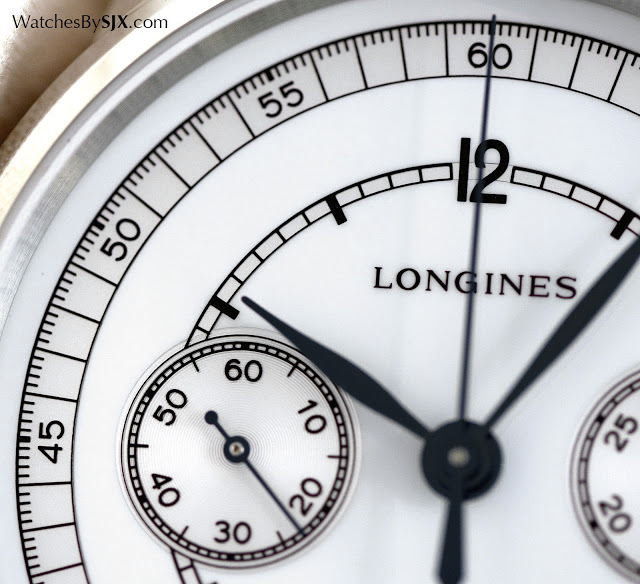 Both dials are clean and functional, with large Arabic numerals and a tachymetric scale on the perimeter. 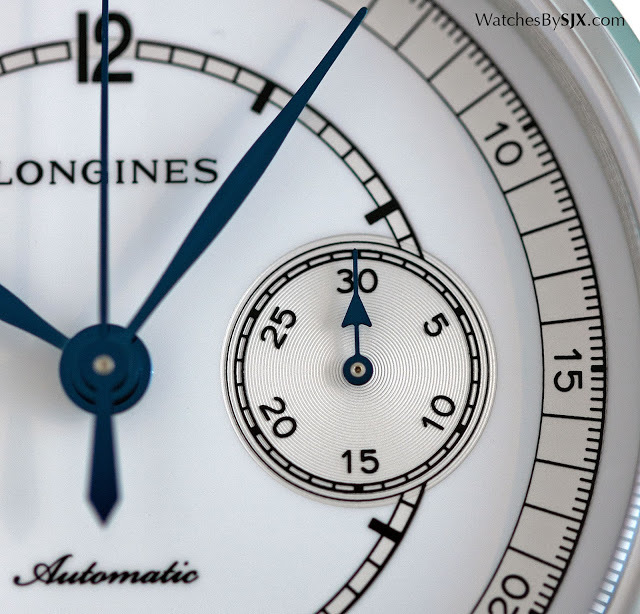 The look is modelled on chronographs Longines made for air forces and navies in the first half of the 20th century. 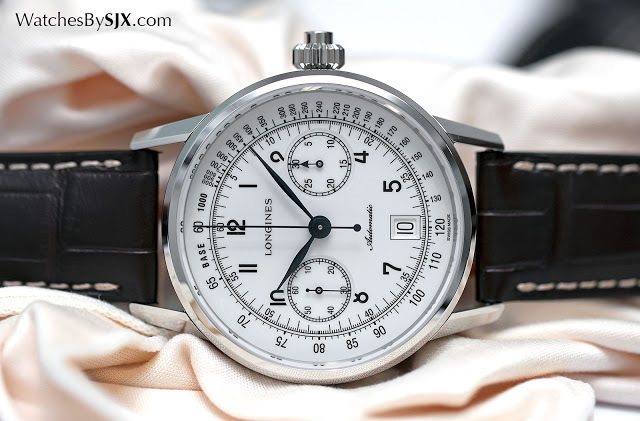 The reference L2.800.4.53.0 has a black dial with silver lettering and markings, while the reference L2.800.4.23.2 is a slightly glossy white – meant to evoke the look of an enamel dial – with black markings. The third option is the most interesting. The reference L2.800.4.26.2 is fitted with a two-tone dial that’s mostly white lacquer, but with the minute tracks and sub-dials in silver, giving it a subtle but obvious contrast. Though the dial is sparse, it is not plain, doing everything it is meant to do in an elegant way. All three references are equipped with the L788.2 movement, the same calibre found in all of Longines’ single-button chronographs. 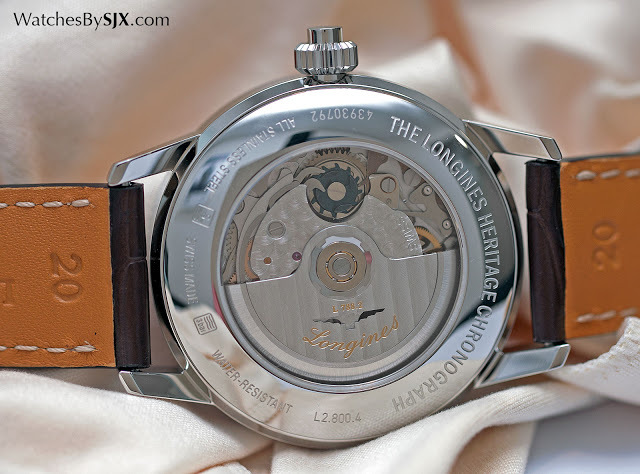 Based on the ETA Valgrange movement (essentially an upsized and refined Valjoux 7750), the L788.2 is upgraded with features found only in Longines watches, namely a column wheel as the on-off switch for the stopwatch (instead of a no-frills cam), and the monopusher start-stop mechanism. 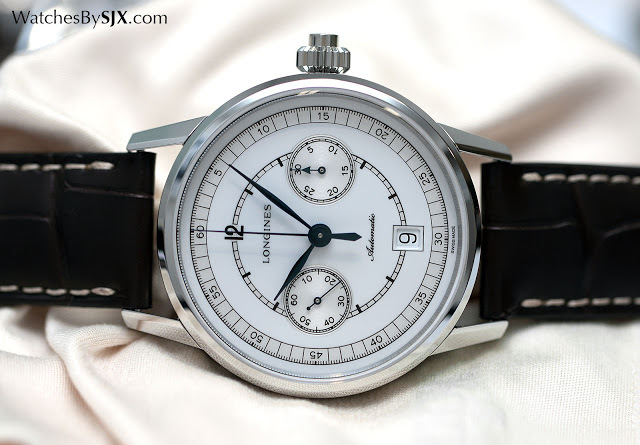 The Column-Wheel Single Push-Piece Chronograph is priced at US$3150, and in Singapore it’s S$4930. It is available in stores starting November 2015.